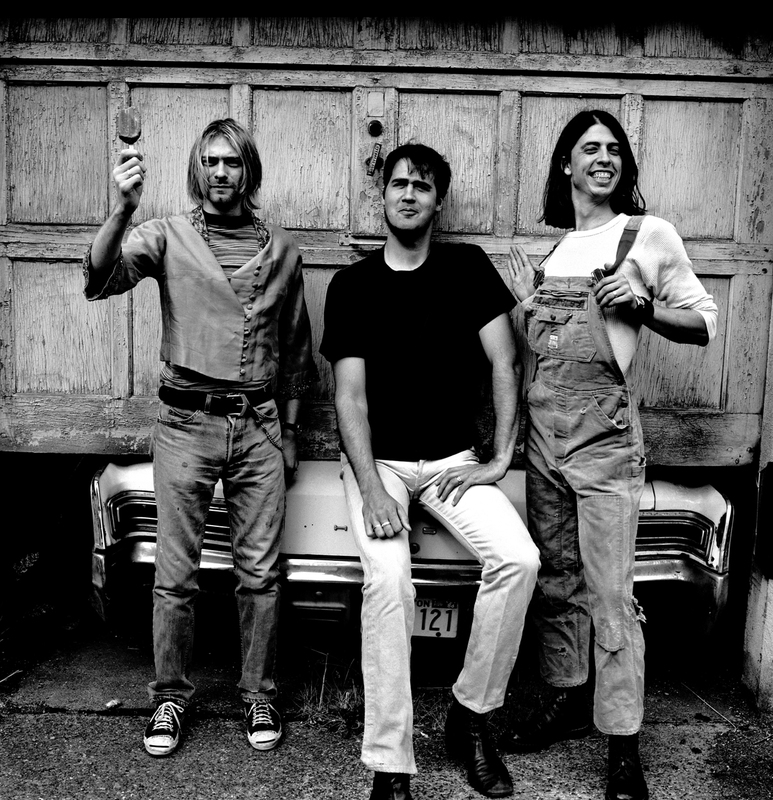 In this Nirvana band photo, Kurt Cobain apparently wrote “FUHGAWZ” on his left shoe to make fun of Peal Jam’s Eddie Vedder. Vedder once wrote “Fuhgawz” on his shirt just before a photo shoot, intentionally misspelling the word Fugazi, which is a punk band from Washington, DC. Kurt who didn’t like Pearl Jam did this to basically make fun of Vedder. 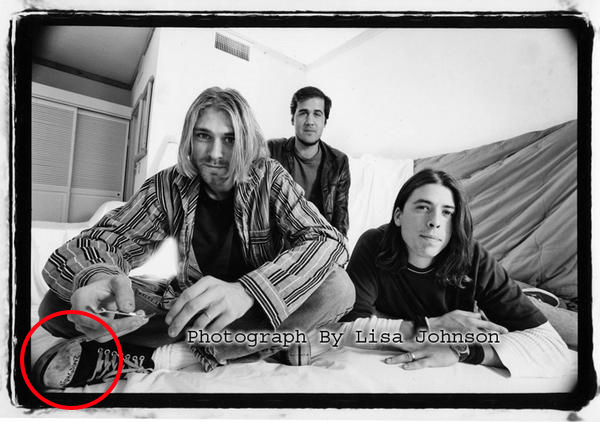 Both of Kurt’s shoes had it written on them in two different spellings of the name. 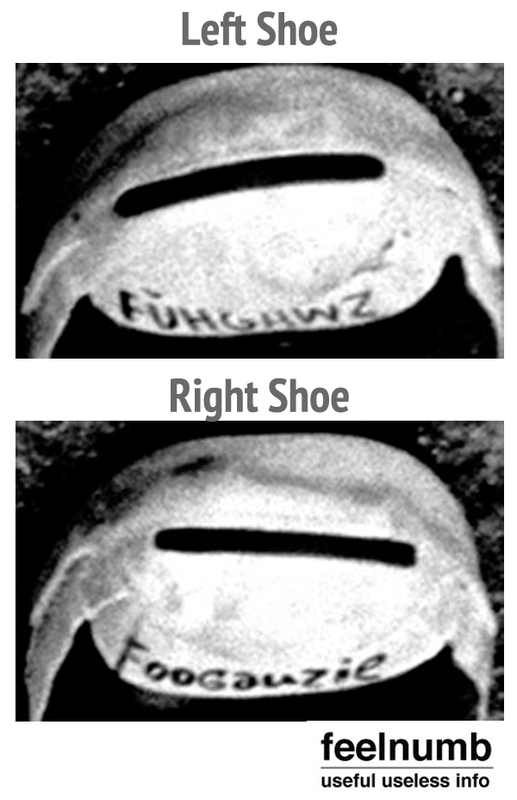 Check out the right shoe, it looks like he spelled it “FOOGAYZEE”. 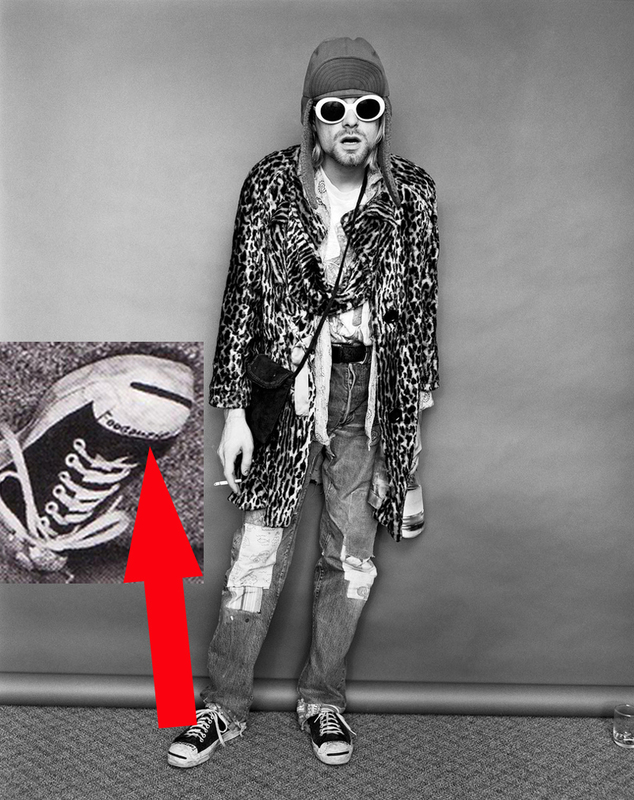 This hi-res photo gave me the best view of Kurt’s shoe. He actually wrote FOOGAUZIE on one shoe and FUHGAWZ on the other. Never the less Vedder never talked bad of Cobain and even wore this shirt on SNL the week Kurt died.